Select the “Setup -> E-mails” menu item. 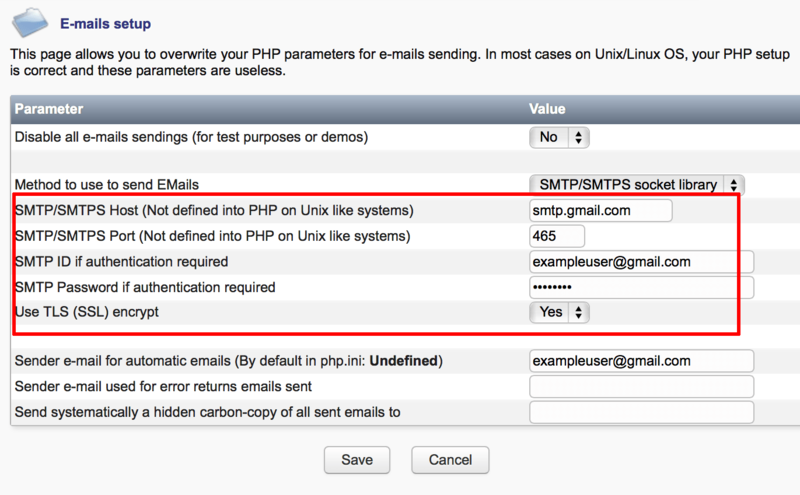 Select the “SMTP/SMTPS socket library” as the method to send email. Once you have made the above changes, you can use the “Test sending” option on the “Setup -> E-mails” page to send a test email to one or more recipients and verify your outbound email settings.